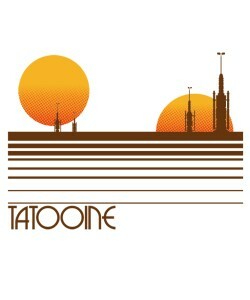 If you’re looking for a good place to visit, consider Tatooine! We have sand, cantinas, sand, moisture farms, sand, blue milk, sand, and more sand, and, oh, Sand People! When you come to Tatooine you’ll marvel at our two suns, and enjoy the three months of no night when one sun rises as the other falls! Be sure you have an underground dwelling so that you can create your own night to sleep in. That’s important. Humans aren’t meant to live without night. Why would you ever come to Tatooine?